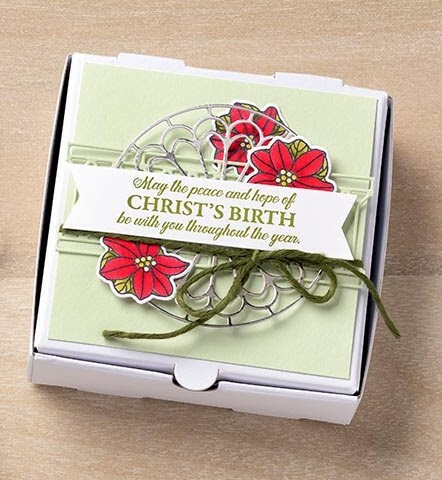 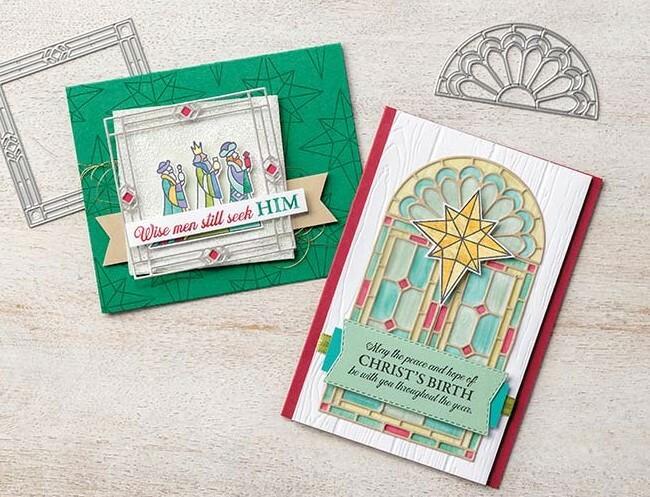 The Stained Glass Thinlits work wonderfully with the Illuminated Christmas stamp set. 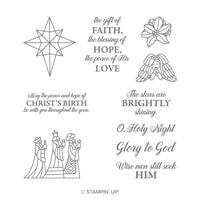 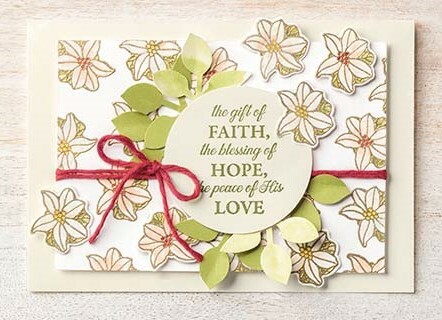 The flower framelit fits around the poinsettia and the butterfly framelit fits perfectly around the angel! 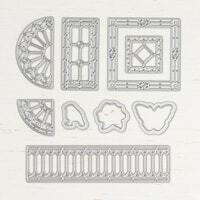 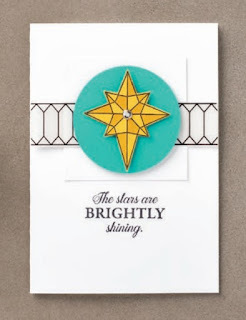 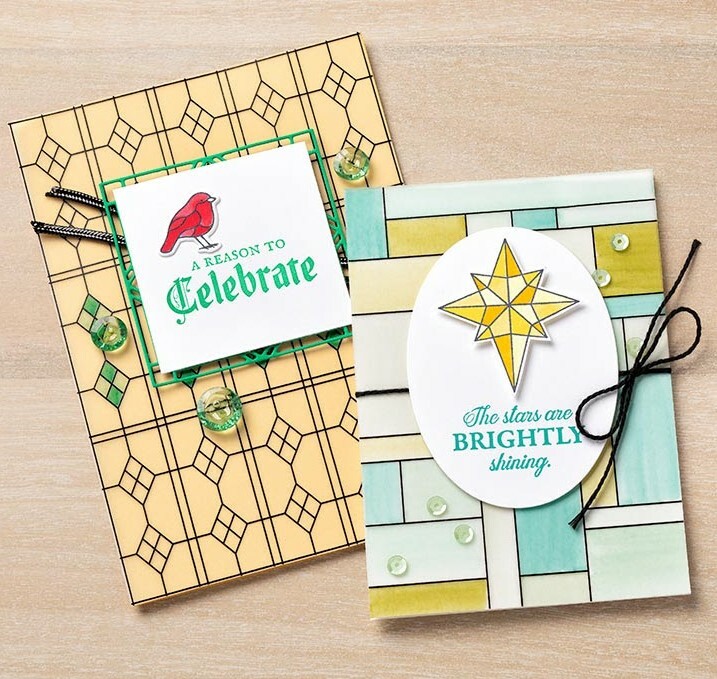 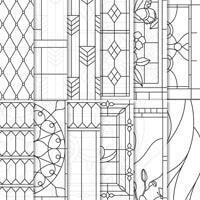 Tip: Use the Stampin' Blends to color on the back of the Graceful Glass Vellum for a stained glass look!